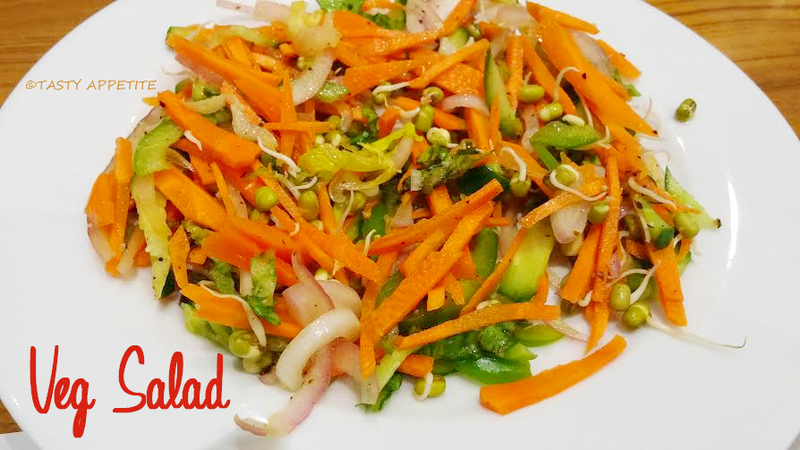 Searching for a super healthy & quick salad recipe? Here goes the easy recipe with flavor combos from fresh veggies. This serves great for your next meal or any get-together. 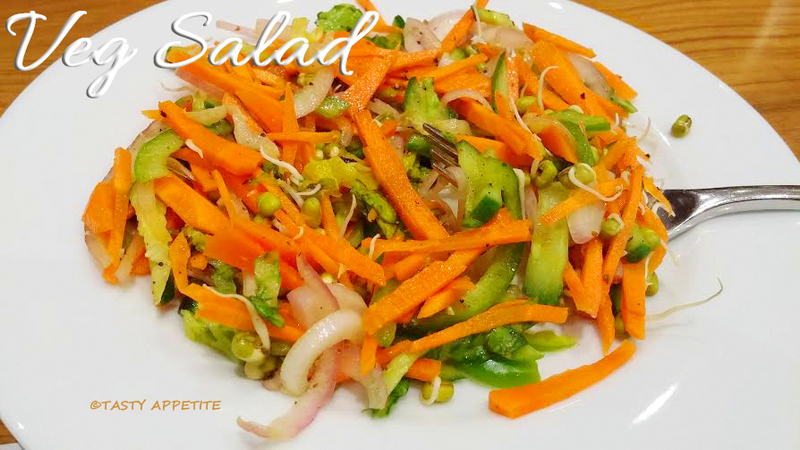 Also those who are aiming for weight loss can enjoy this..bowl of colorful salad for dinner or mid-meal. 1. Wash and slice carrot, cucumber, capsicum, onion, tomato, cabbage to fine shreds. 2. Add it to mixing bowl. 3. Add sugar, salt, lemon juice and mix well. 4. Add freshly sprouted moong dal and finely chopped coriander leaves. 5. Give a good stir. 7. Also you can mix any other interesting flavors like herbs, celery, etc. 8. Transfer it to serving plate. 9. Enjoy yummy & colorful Vegetable Salad. 10. It makes a great snack for eve or for a diet dinner.